A gripping and original account of how the Civil War began and a second American revolution unfolded, setting Abraham Lincoln on the path to greatness and millions of slaves on the road to freedom. An epic of courage and heroism beyond the battlefields, 1861 introduces us to a heretofore little-known cast of Civil War heroes—among them an acrobatic militia colonel, an explorer's wife, an idealistic band of German immigrants, a regiment of New York City firemen, a community of Virginia slaves, and a young college professor who would one day become president. Their stories take us from the corridors of the White House to the slums of Manhattan, from the waters of the Chesapeake to the deserts of Nevada, from Boston Common to Alcatraz Island, vividly evoking the Union at its moment of ultimate crisis and decision. Hailed as "exhilarating....Inspiring...Irresistible..." 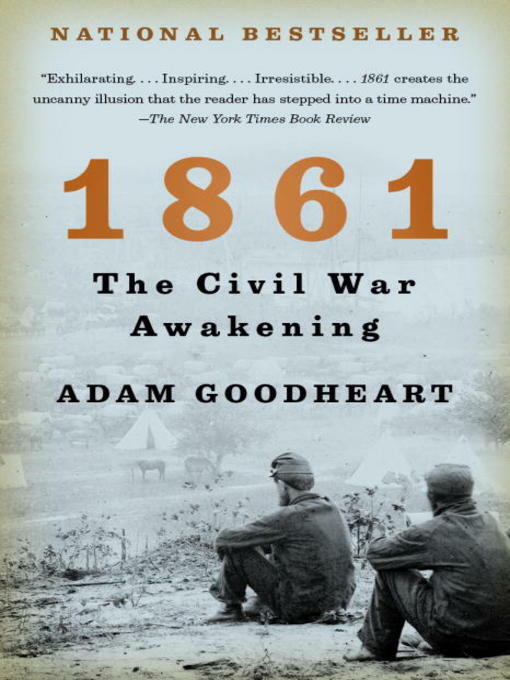 by The New York Times Book Review, Adam Goodheart's bestseller 1861 is an important addition to the Civil War canon. Includes black-and-white photos and illustrations.